Hello out there! Not sure if anyone is still following this very quiet blog. 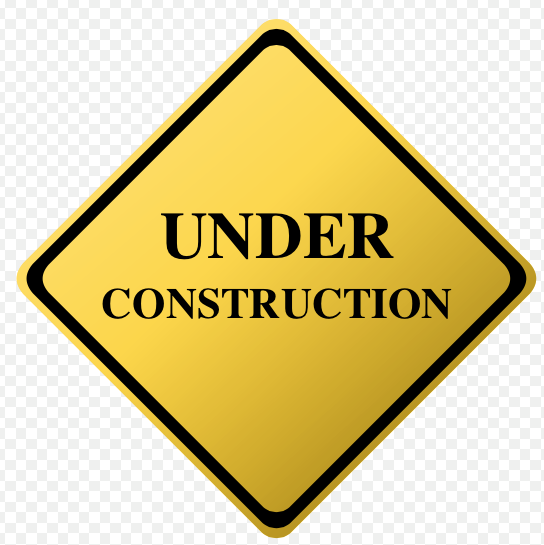 If you are - watch for new and hopefully exciting post soon! Weddings anyone? These blocks will make a memorable gift. Kit will provide the wood blocks, paint, modge-podge and brushes. 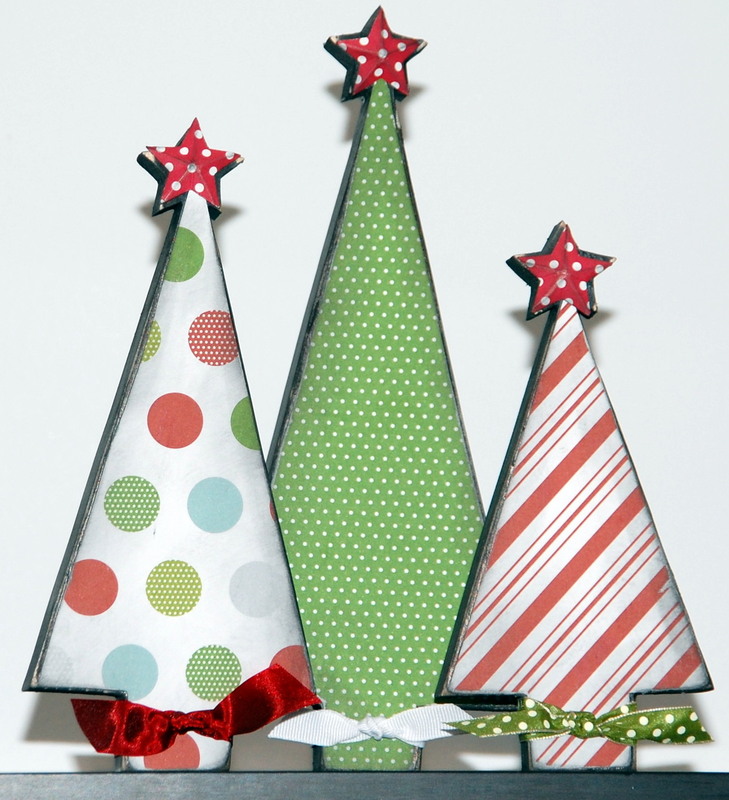 You bring the paper and coordinating card stock and lettering will cut on Cricut at the retreat. If you like the paper shown, it can be ordered as paper kit of $2.50. This sweet piece of assemblage will steal your heart! 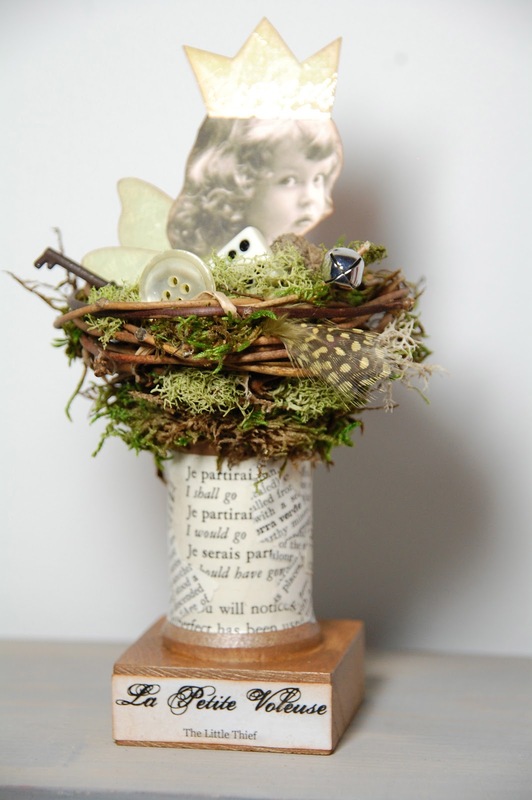 The little fairy has "collected" treasures and is keeping them in an abandoned nest. This will be an easy project with a 6" reward when you are finished. (Glue gun needed). Finally! Spring has surely taken it's time here in Utah. But, now that April is here, time seems to be flying like a kite! 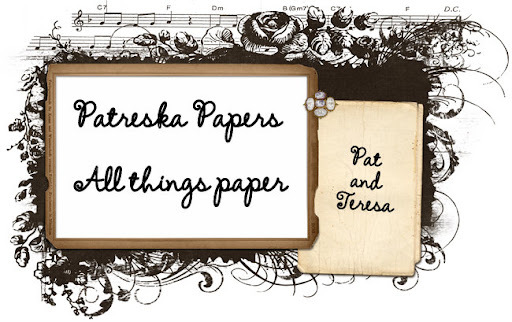 Teresa and I are getting things together for our April 18-21 retreat at Moose Hollow in Eden. Lynn and Tya will be taking care of our yummy meals. This April we have a large group with a few new faces. So excited to reunite and to make new friends! 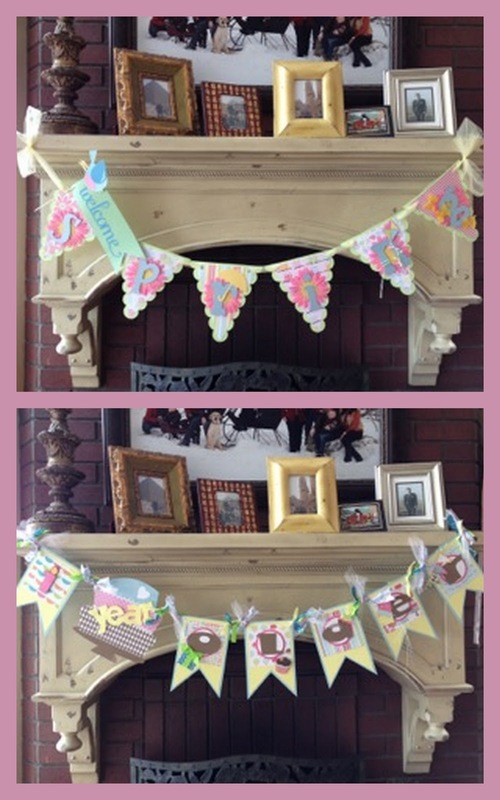 What a fun way to keep track of all those special events! 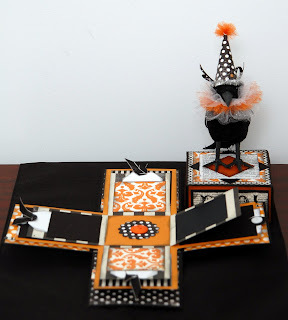 Create this flip calendar that you can use for years to come! Choose one or both banners. 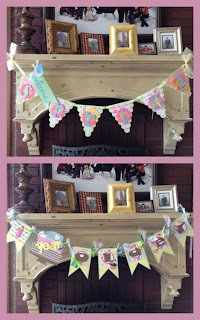 Teresa has created a “1 Year Older” and a Spring banner with all the fun trimmings. The birthday tin that is a card and gift card holder all in one will be $4. Right now I have 6 available. If more is needed I will go and look for more tins. 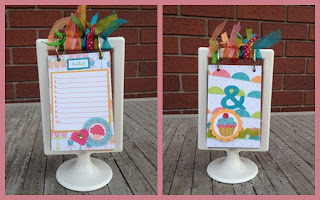 This memo board is perfect for office or kitchen. 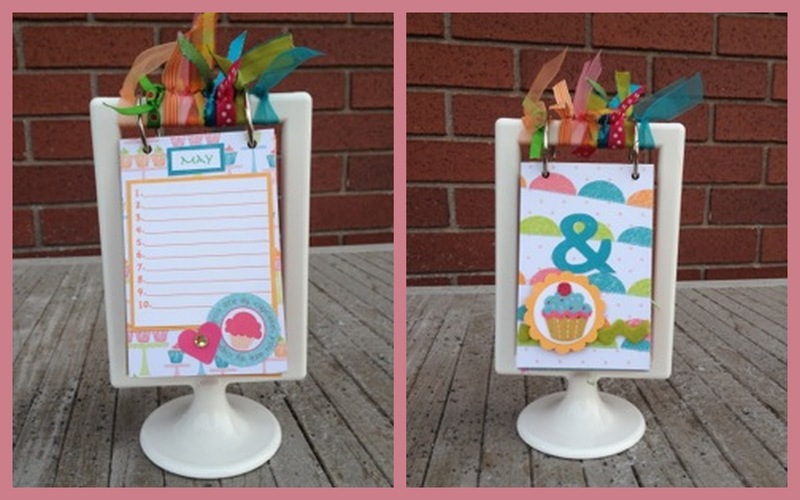 Contrasting papers and matching magnets can hold notes or recipe cards. 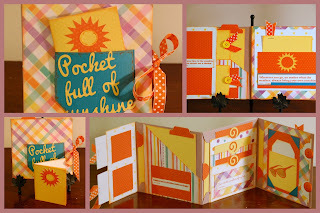 8" x 7"
You will love creating this fun journal/mini album. Who knew that three file folders could do so much! Tags and pockets and flaps, oh my! 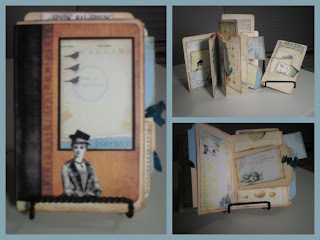 We will create the journal and then embellish it with the preprinted vintage tags, papers and ephemera included. 5" x 6"
Cover your eyes! - These three minis all have envelopes for pages, which means lots of space to tuck tags and other goodies away. Each uses a different binding technique. We will create the "bare" minis and then you can create whatever your heart desires- travel/birthday/holiday- any special event. A roll of adhesive comes with class/kit. 4"x 6" and 6" x 8"
You know, it seems like 2013 has been around awhile, doesn't it? But it is only 11 days old - hardly long enough to forget those resolutions! (What? I don't remember making any resolutions!) One of mine should be to update this blog more often. And, I will strive to do so. So, starting now, let's update! April Retreat is coming fast and furious - 18th through the 21st. We are FULL to the brim! We have tried to accommodate all who have contacted us so far. This will be the largest groups that we have had. (Now, don't roll your eyes. If it were you that wanted to be included you would want us to find space!) We will be using the upper and lower level of the clubhouse - as much space as they will give us. Lynn, will be creating her primo meals - with cruise ship dining - sorta. 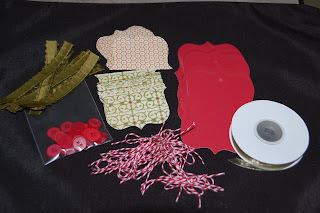 And, of course Teresa and I will be working on some kits and fun for all. Also, we will have our massage therapists, pedicurist and we will have a farewell screening of The Twilight Saga - Breaking Dawn, Part 2. Since this will be a 1/2 table crop and additional space will be virtually nil, we will be doing the organization contest. There will be a grand prize awarded to the attendee who brings the least amount of "stuff" into the clubhouse. That means your car can be loaded, but just not your work space. We know this is a drag, but really, you can get so much more done with organization. We will be sending out a list of the contest fine points the first part of April. All rightee then, go get 2013 and make some memories! So, if you are going to play, get your supplies as ready as you want. You can even make them ahead, but why? The best part of the fun is the creating in a group. The next best part is having to only think of one tag and then coming back with many different tags. See you soon! September is Finally Here! Hurrah! So, now, on with the retreat extras. We will be offering massages, pedicures and lash tinting. More information will be coming via email to you soon. 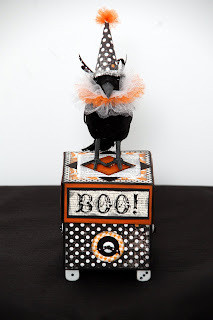 This was so fun to create and I think that you will love it too! 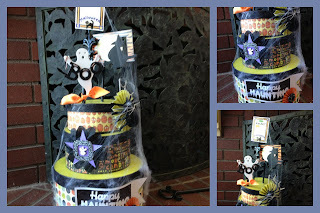 What a fun way to document the fun from the spooky holiday. The crow guards your special memories. 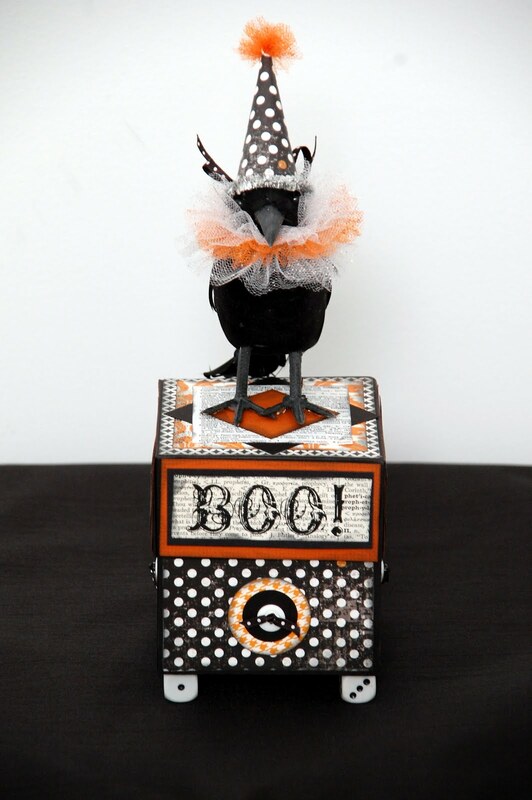 NOTE There will be a workshop time at the retreat for the box assembly and dressing up the crow. 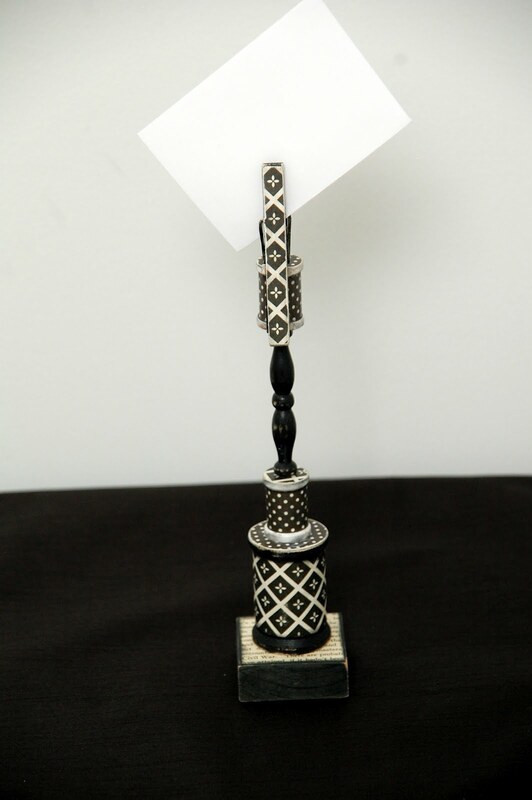 This fun memo holder can hold your password, leave a special note, present a thank you card in style. A variety of papers will be available, but you can bring your own. NOTE - If you want to make these in bulk for gifts, please email and let me know well in advance so that I can order the supplies. The witches favorite dress is on her mannequin along with her hat and glittered shoes. Lots of fun details! So wicked! These chunky letters use the witches striped stockings and her glittered shoes for the "L's"! The letters are appx 5" tall and are 32" side by side. Don't you love the word? These chunky wood letters will be come a Christmas favorite. Letters are 9" tallest and are 24" side by side. 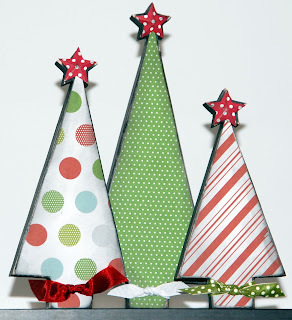 Sweet little group of trees - you can make a forest! 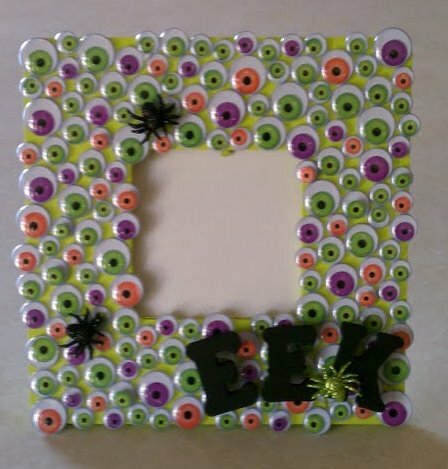 Big and “Boo”tiful this wreath will be fun and easy to make. Limited to 3 so reserve yours now. This would make such a nice gift. 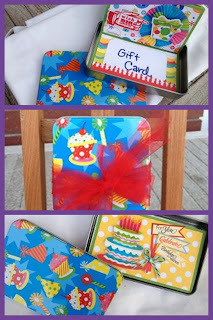 Four birthday and four thank you cards in a gift box. 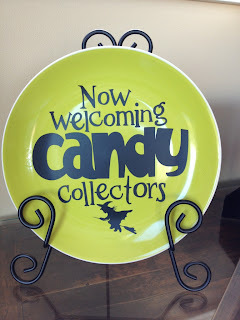 Teresa is so good with the Cricut and has created this fun treat plate. 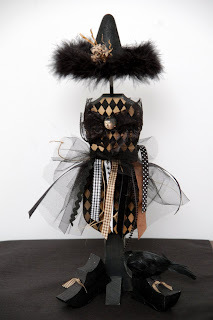 Halloween Tower - Mixed Media $45 SOLD OUT SORRY! Teresa has created a fun project that will keep your glue gun busy! 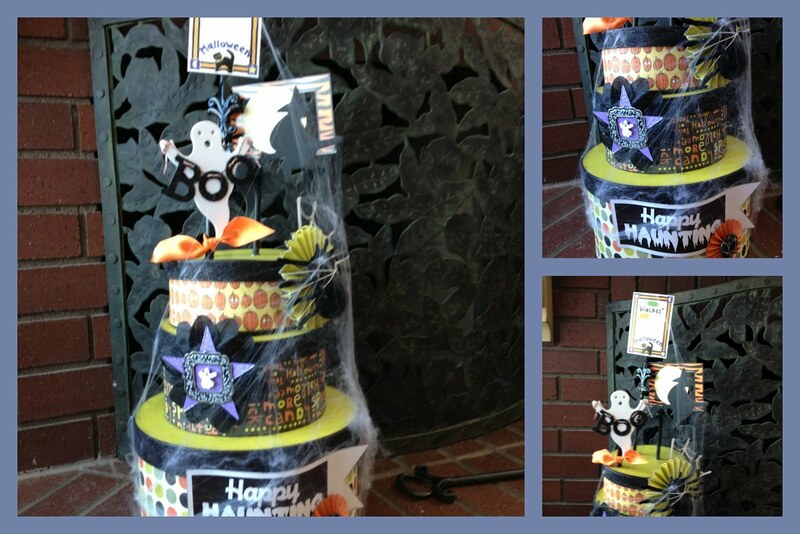 Standing 30" tall and 12" wide, this will be a halloween favorite! April Retreat is a Memory! Such a good one too! All who attended the April retreat had such a good time. Lynn made us yummy meals and we had so much fun at our version of So You Think You Can Scrap! The weather was a bit cool to start, but it didn't take long to heat up. Now, on to September. We have a full house. If you were not able to get in, email me and I will put you on a wait list should we have any cancellations (patreskapapers@yahoo.com). Thanks to everyone for your continued support. We love our little spot of paradise in Eden and the memories we create there. More travel – can we ever get enough? So, you have a trip to New York, Paris, Rome or even San Francisco. Scrapbooks are so fun and meaningful, but these letters will be a constant reminder of your fabulous trip. Created your favorite destination with maps from that special place and any embellishment or memorabilia from your trip. Choose your destination, size of lettering and wood. (See * for more about maps) Also, any word ore name can be done. This fun mini is perfect for summer fun. 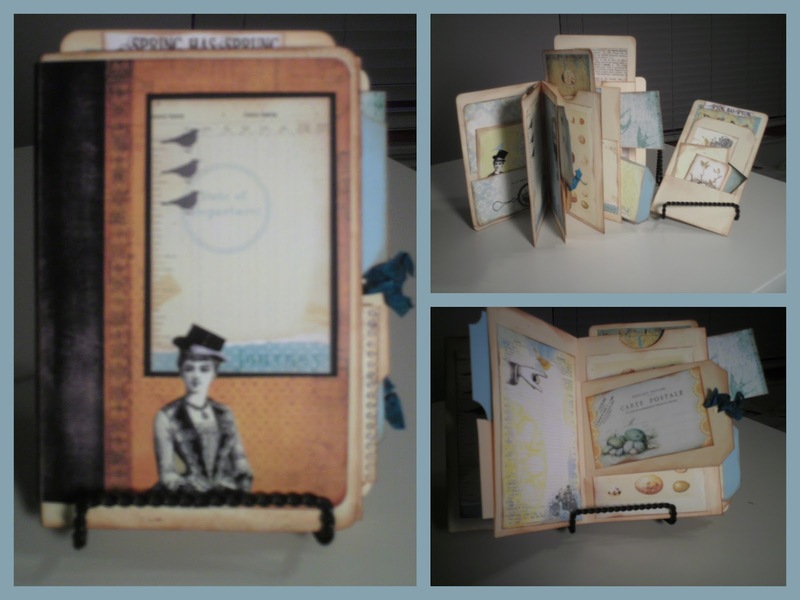 Created with 3 square envelopes, this format will be fun to use for many other events. 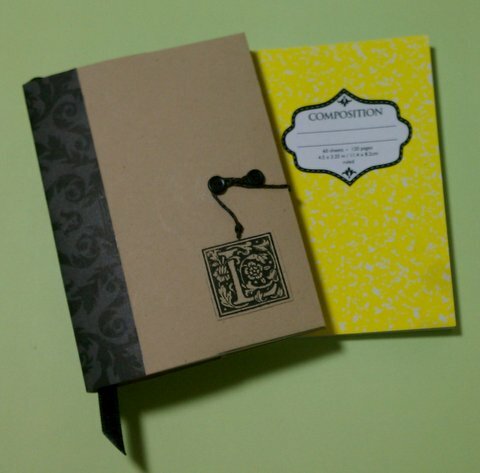 Each page has pockets and the cover offers a second mini album. Loads of space for photos, journaling and mementos. 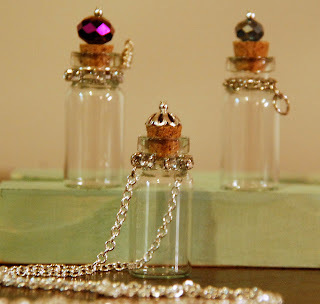 These fun pendants will be a group project and you can make as many as you like...as long as supply lasts! 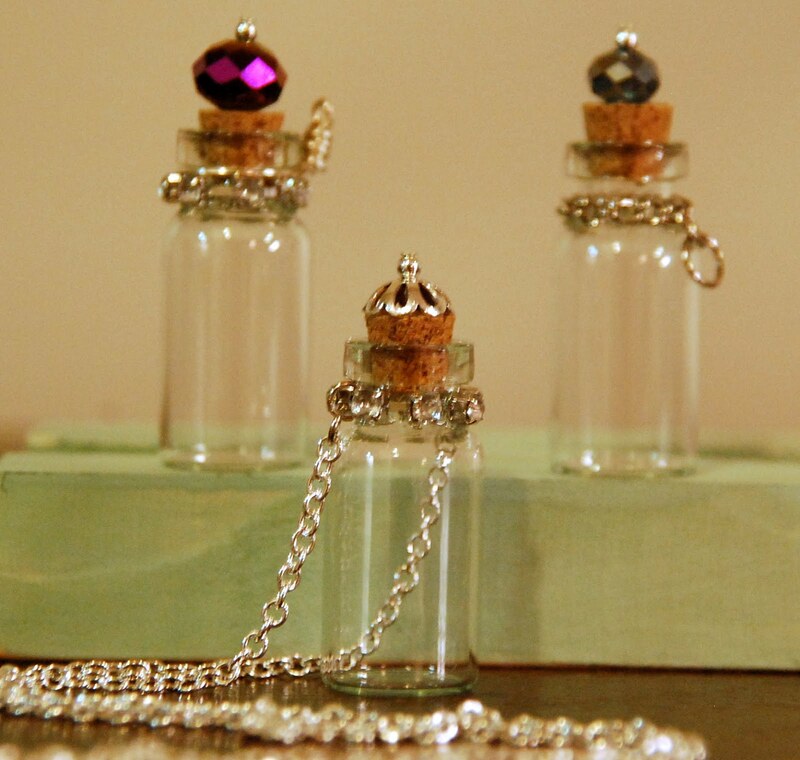 Perfect for glitter, gems, snippets of dictionary pages, maps, photos....anything that will fit! Not necessary to preorder but if you want several, please email so we can have enough supplies. *Map info - I will have some vintage atlas pages to choose from but when they are gone you may not get the state or country you want. Suggestion is that if there is a destination that you want, print it out from the internet or bring a map you might have from travels. Pat's Pinterest Button - Love It!